Survivor: David vs. Goliath (2018) - 19th place, 2nd out. Voted out in Episode 2, "The Chicken Has Flown the Coop" (Day 6). David vs. Goliath Ep. 1 IC: "Matchbox 25" - Crosses the obstacles, but the Davids lose. David vs. Goliath Ep. 2 IC: "Another Brick in the Wall" - Helped work the puzzle, but the Davids lose. David vs. Goliath: None yet. David vs. Goliath, Ep. 1: Five votes, from Christian, Elizabeth, Gabby, Lyrsa, and Nick (voted out, 5-4). 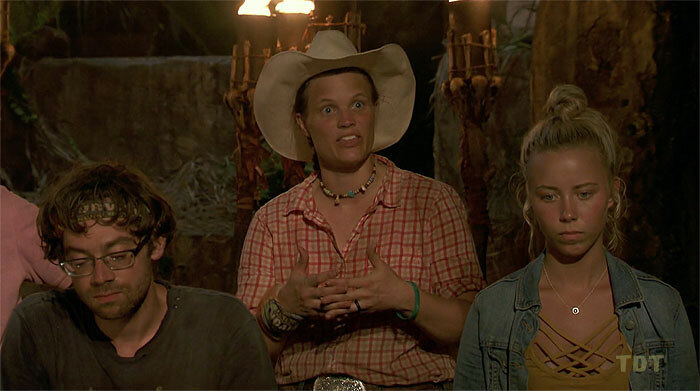 Listening to Lyrsa talk about being picked "weakest"
Dalton Ross at EW.com (10/4/18): "Jessica from Survivor reacts to her blindside"
Gordon Holmes at XfinityTV.com (10/4/18): "Jessica - 'I'm Still Rooting for Them... I Want Them to Pull Out a Win'"
Mike Bloom at Parade.com (10/4/18): "Jessica Peet on the Feat of Getting Beat"
Rob Cesternino at RHAP (10/4/18): "Exit Interview | Latest Player Out from David vs. Goliath - 10/4/18"
"What's your personal claim to fame? When I was selected to be part of this game at such a young age. Some people have waited years to have this opportunity and I'm blessed to be able to participate in something that is so meaningful to me, as well as millions of others around the country. Who or what is your inspiration in life? Stephenie LaGrossa. Growing up I always admired her for her performance in her season. During Guatemala, she showed such determination, drive, and positivity. My goal in life is to stay positive no matter the situation. I believe life is all about how we react to situations, not the situation itself. My goal is to always take a step back, and evaluate what should come next. If you could have three things on the island what would they be and why? My toothbrush because thinking about going 39 days without clean teeth makes me cringe. My pillow so I can have some sense of comfort. My Bible because my relationship with the Lord is extremely important to me, so having that there with me during this experience would mean a lot. Which Survivor contestant are you most like? 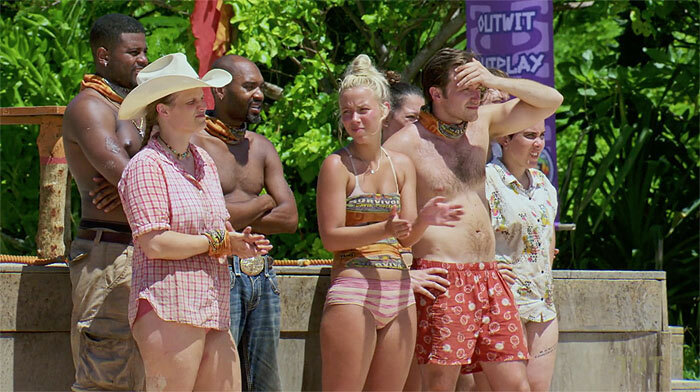 My goal as I go in is to play most like Sarah did in Game Changers. She had a phenomenal social game and I feel as if I can do the same thing because of the relationships I normally build with people. While doing that I can still balance camp life, and hopefully make it as far as she did. What's your reason for being on Survivor? My reason for being on the show is mainly the experience itself. I've grown up watching and loving Survivor. Never in a million years would I think I'd be participating in such an amazing life experiment. I am determined to push myself and see how strong I can be. I'm also excited to win a million dollars, that would be so life changing for myself and my family."